We handle most of our cases on contingent fee arrangements, in which no money is paid by the client up front, and no attorney's fee is due unless we are successful. Rob Curran has been practicing law since 1987, with a clear focus on advocating for personal injury victims and wrongful death survivors. He has handled many thousands of claims and cases, achieving favorable outcomes for many satisfied clients through both aggressive settlement negotiations and trial verdicts. Experience in insurance defense gives him extensive insight for properly representing clients in negotiations with insurance companies and successfully obtaining just financial compensation for his clients. At Curran Law Firm in Springfield, Missouri, our strengths include a commitment to very thorough, knowledgeable accident investigation and strong resources for substantiating medical consequences. We are well equipped to handle your auto accident or medical malpractice case, pursuing all avenues to prove fault and maximize the compensation you receive. Mr. Curran provides free consultations and serves clients on a contingency basis — which means you will not owe any attorney’s fee unless we are successful on your behalf. For more details on his background as a lawyer, you can follow the link below to his profile. Rob Curran attended Georgetown University in Washington D.C., graduating in 1984 with a Bachelor of Science degree. He then attended Georgetown University Law Center in Washington DC, graduating in 1987 with a Juris Doctor degree. He then took and passed both the New York and New Jersey bar exams in July 1987. Upon passing both bar exams, he was admitted to practice law in both New York and New Jersey. He began practicing law at Olwine, Connelly, Chase, O’Donnell & Weyher, a large Park Avenue law firm in New York City. In 1990, Rob left that Park Avenue law firm to start a litigation law firm in partnership with his father, Robert D. Curran, Sr. The two practiced altogether as Curran & Curran from 1990 to 2001, with an office located in Paramus, New Jersey. During that time, they engaged in all aspects of litigation practice, focusing primarily on personal injury matters. They represented the victims of negligence as well as representing insurance carriers defending against personal injury claims. Rob’s experience having been on both sides of the fence gives his clients a significant edge in litigation. His experience as an insurance defense attorney is invaluable to helping him represent victims of injury. This vast experience as a defense attorney means that Rob knows what it’s like to be on the other side, and can anticipate the defenses that the insurance company lawyers will use and the strategies and means that they will employ. Rob’s clients also benefit from his experience as a Municipal Court Judge. He served from 1997 to 2000 in Paramus, New Jersey, a very high-volume municipal court located only 10 miles from New York City. The experience of being on the bench is also invaluable to him in providing his clients now with the highest quality legal representation. It has given him the additional and highly important edge of seeing things from the judge’s perspective in addition to both the defense attorney’s perspective and the plaintiff’s perspective. Rob is also very proud to have been accepted into and graduated from the prestigious Gerry Spence Trial Lawyers College, located in Dubois, Wyoming. In 2011, he attended this intense month-long college, taught by the best and brightest trial attorneys in the nation. Only attorneys representing individual people are accepted. Lawyers who represent insurance companies or prosecute on behalf of the state are not eligible. Gerry Spence is widely acknowledged to be one of the most successful trial attorney in the United States and he personally teaches students at the Trial Lawyers College his methods and techniques. Rob was honored by being selected to join the Faculty of Keenan Trial Institute, the best teaching facility for experienced trial lawyers in the United States. Founded by legendary trial lawyer Don Keenan, KTI teaches experienced trial lawyers advanced trial techniques, so they can obtain the best possible results for their clients. Rob has been married for over thirty years, and he and his wife Julia are thrilled to have four wonderful children. 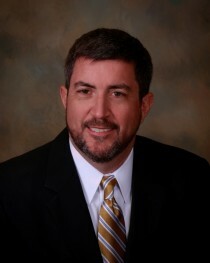 Rob is a Faculty Member of Keenan Trial Institute, holding both Graduate and Masters Degrees from KTI, where he teaches experienced trial lawyers advanced trial techniques. He is also a Graduate of Gerry Spence's Trial Lawyers College.